Facebook App is something every site or app wants. A Facebook App can be used for so many purposes like Login With Facebook feature ,for a game on Facebook and so many others. 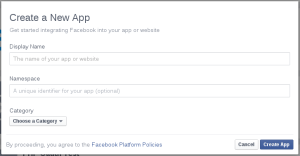 Since there are so many Facebook users, it’s necessary to have a Facebook App for your site. 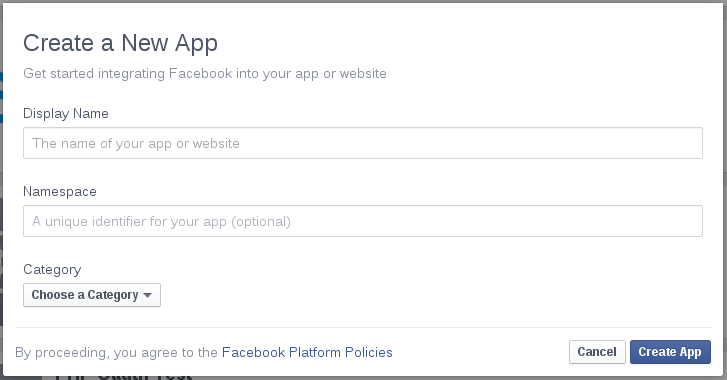 In this post I ‘m going to tell you how to create a Facebook App. Type your App name in "Display Name". If you want to change settings like adding an image to your app, go to the "Settings" page which you can see on the left side of your app page. From your main app page you can obtain the Application <strong>ID </strong>and <strong>Application </strong><strong>Secret </strong>values. You may need to enter your password if you want to see the "App Secret" value. To see it, click on the "Show" button near the "App Secret" input.